Facebook may not be making the phone that everyone seemed to expect was on its way, but that doesn't mean that it can't still replace all of the communications apps you would otherwise use on your phone. First, we saw Facebook pushing for real names and contact info (aka building the phonebook), then Facebook made its messaging options into a real combination e-mail and SMS/MMS replacement, adding disposable chat with Poke, and now the company has started testing free voice calling as part of its Messenger app. Because this is just a test feature, peer-to-peer VoIP calling is limited to iOS users in Canada, but the Messenger app has been updated to allow all iOS and Android users to send voice messages to friends. 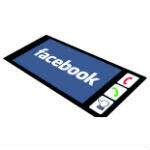 Voice messages are all well and good, but if the VoIP calling continues to roll out, that is a huge deal for Facebook. Facebook has over one billion users, and some estimates say that at least 250 million of those users regularly access Facebook via mobile devices. There are plenty of apps that offer free voice calling between users including big names like Google Talk, BlackBerry Messenger, and Skype, and lesser used apps like Viber, Voxer, and HeyTell, but none can compete on the sheer number of potential users at Facebook's disposal. As you'd expect with VoIP calling, it won't use your minutes, but it will use your data, so be aware of what your plan offers. Also, VoIP does tend to burn battery faster than regular voice calls. If you want the new Facebook Messenger app, you can grab it for free in the iTunes App Store, or Google Play Store, and if you live in Canada, let us know how the voice calling sounds.